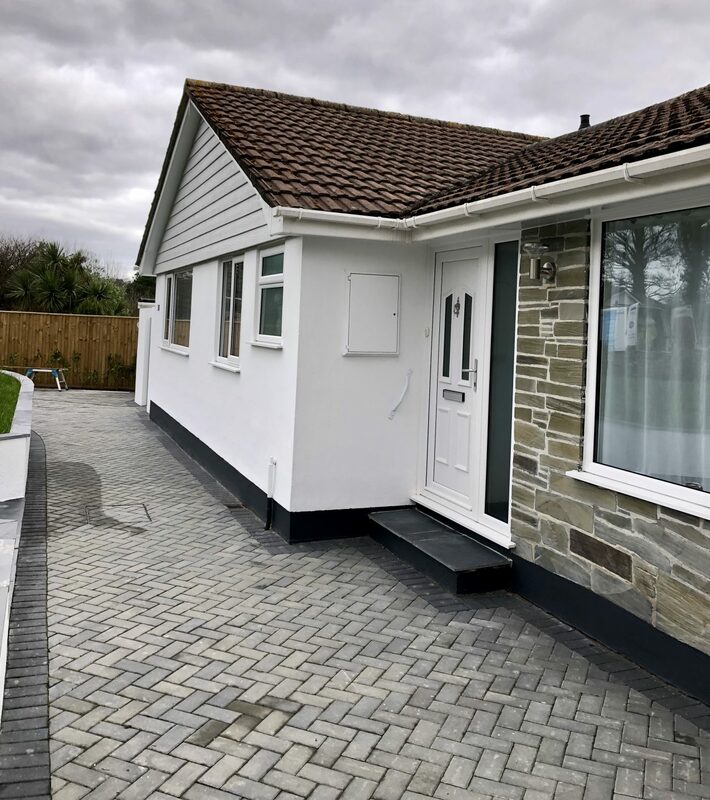 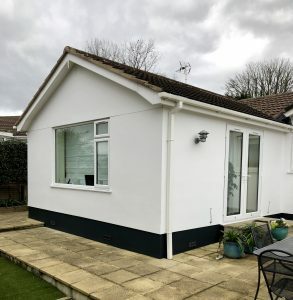 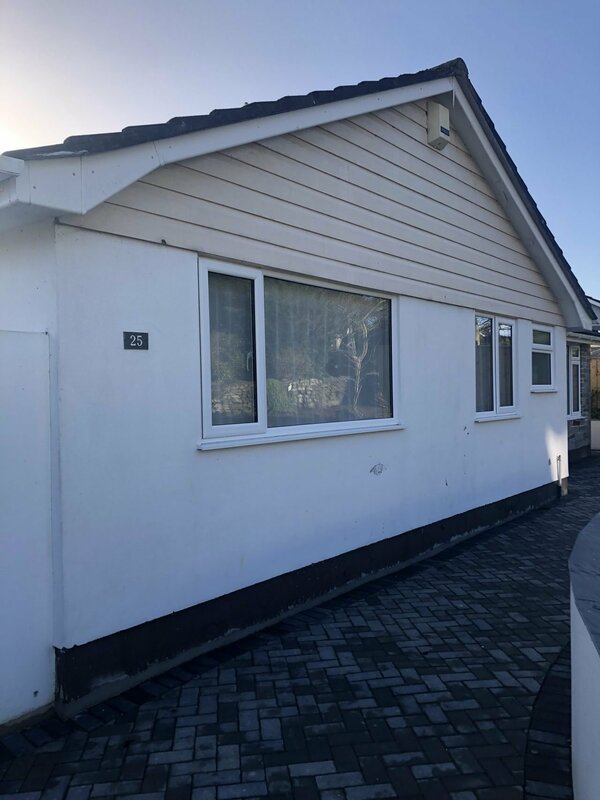 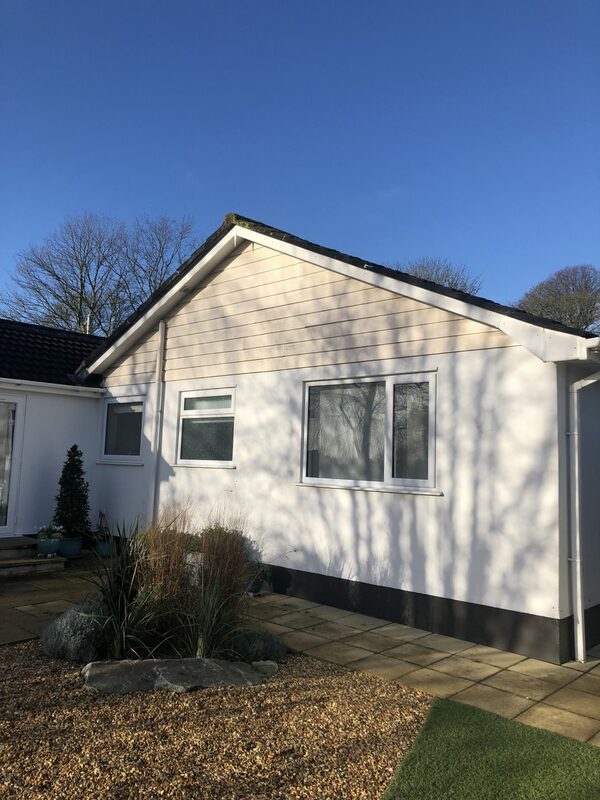 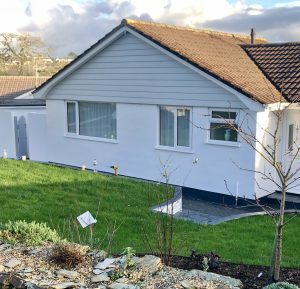 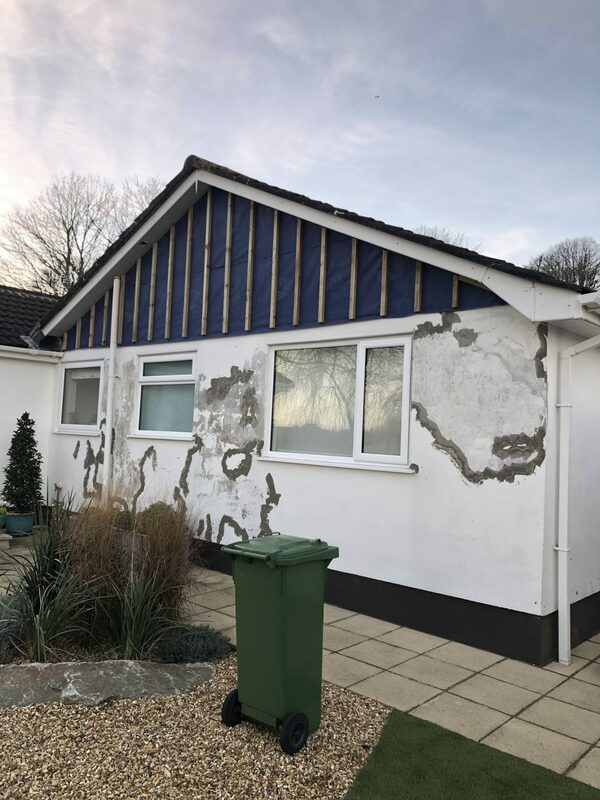 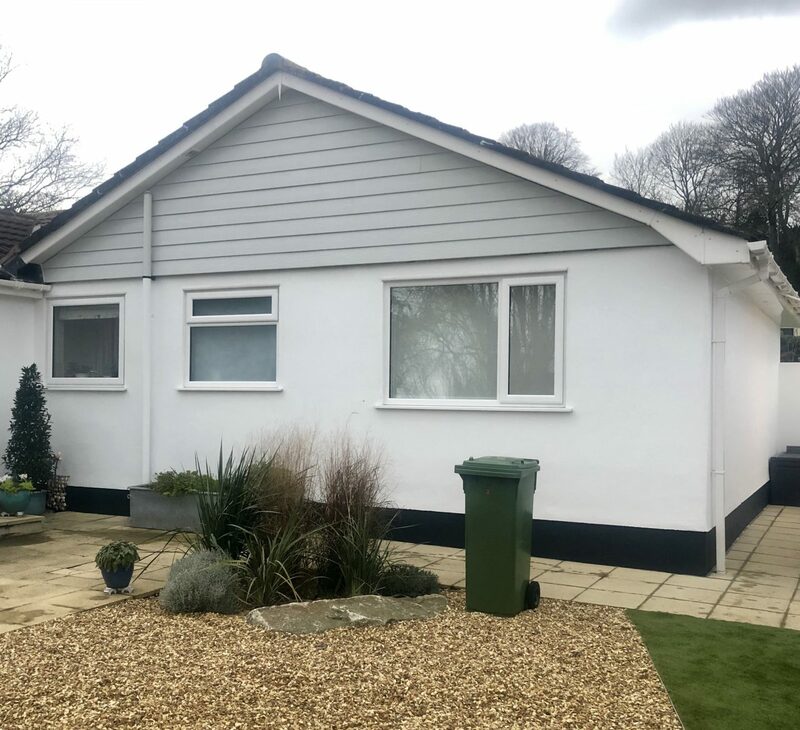 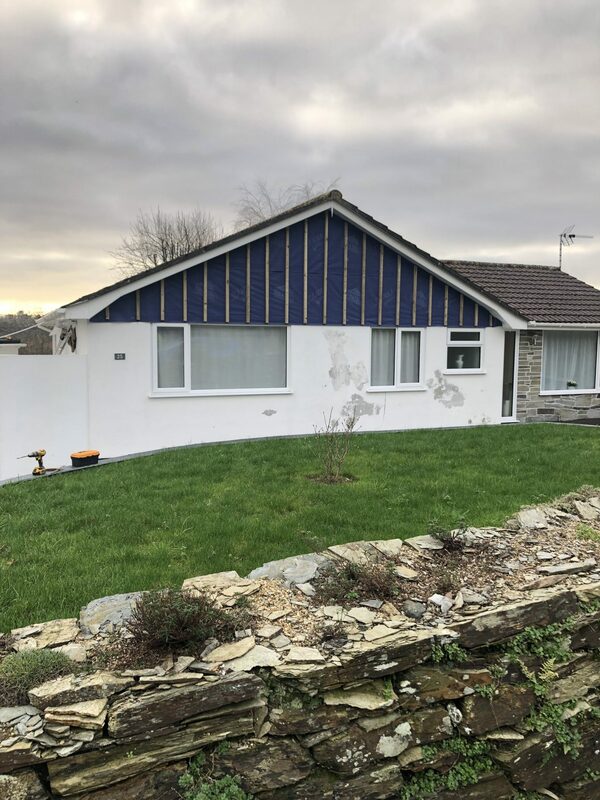 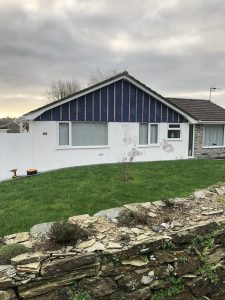 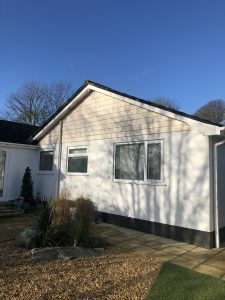 We have today finished modernising this bungalow in Truro. 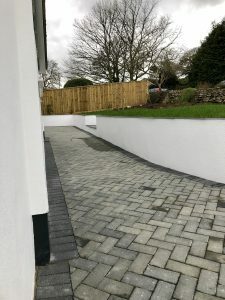 On this project we have been asked to combine three different services that we offer. 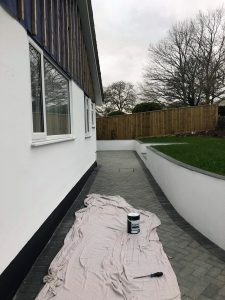 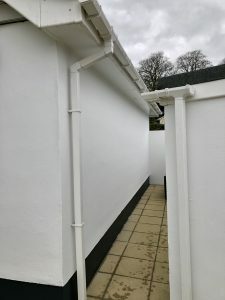 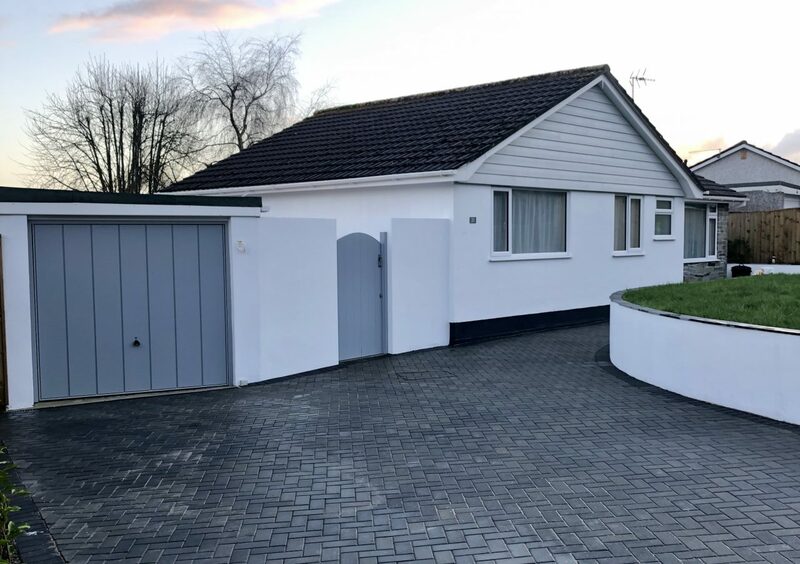 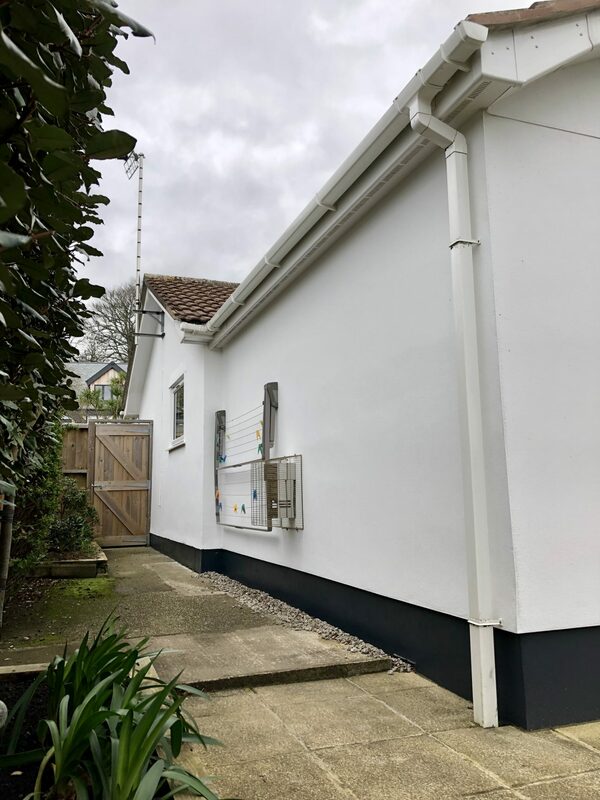 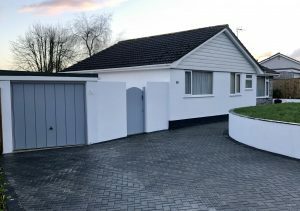 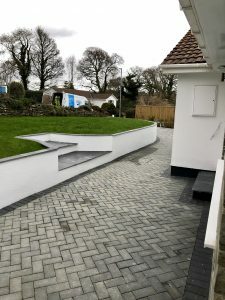 The installers pressured washed the house so that we could paint the walls with leyland pliolite and also paint the house plinths along with the garden gate. We prepped the walls ready for us to coat them twice along with the plinths and gate. 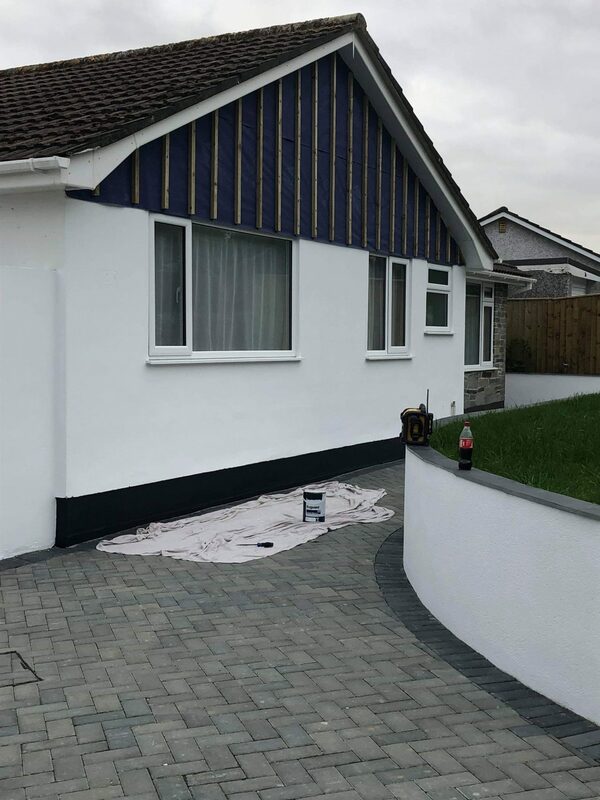 We also installed white UPVC capping soffits to existing fascias to tidy up the look of them. 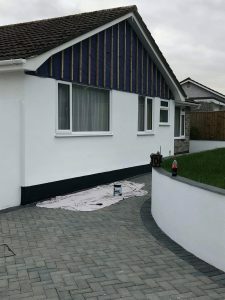 Battens where installed for the soffit pickups and sealed of with white silicone. 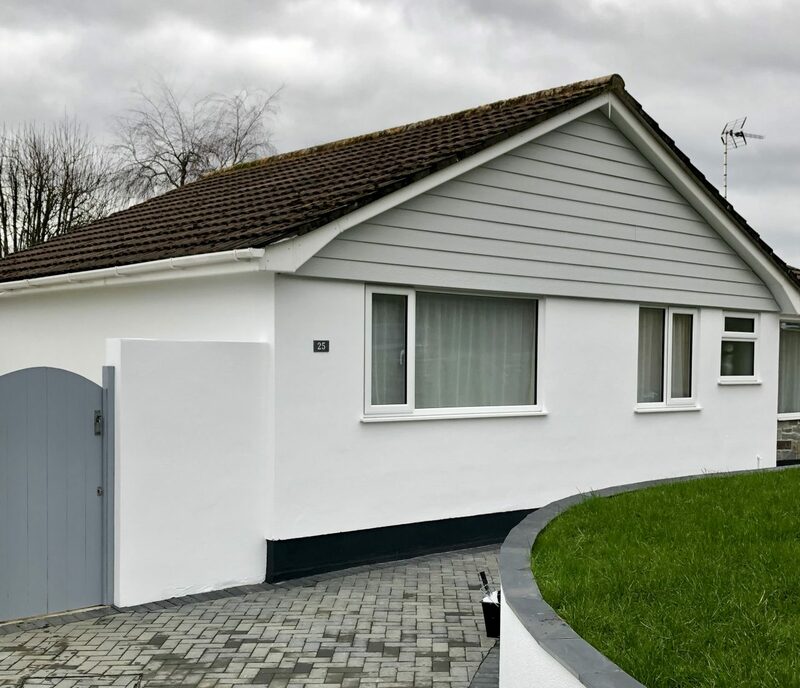 Then to finish the job off we was asked to install C51 silver grey Cedral cladding. The installers removed the old wood shiplap and old rotten membrane and installed a new breathable membrane. Then they installed some 50 x 38 tantalised batten to install the cedral cladding. 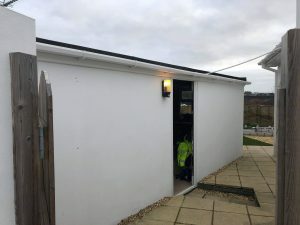 Perforated enclosures and starter trim was installed and then the cedral cladding. The customer is very happy with the transformation as are we. 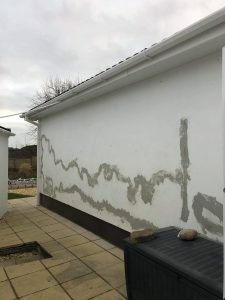 Rob, Thank you and your team for a very good job. We are very pleased with the work and the way the house now looks. We would be happy to recommend your company any time. Mr & Mrs Evans.